The copyright in this website and the material on this website (including without limitation the text, computer code, artwork, photographs, images, music, audio material, video material and audio-visual material on this website is owned by Yo San University [and its licensors]. Yo San University does not grant you any other rights in relation to this website or the material on this website. In other words, all other rights are reserved. For the avoidance of doubt, you must not adapt, edit, change, transform, publish, republish, distribute, redistribute, broadcast, rebroadcast or show or play in public this website or the material on this website (in any form or media) without prior written permission from Yo San University. Yo San University takes the protection of its copyright very seriously. If Yo San University discovers that you have used its copyright materials in contravention of the license above, Yo San University may bring legal proceedings against you seeking monetary damages and an injunction to stop you using those materials. You could also be ordered to pay legal costs. 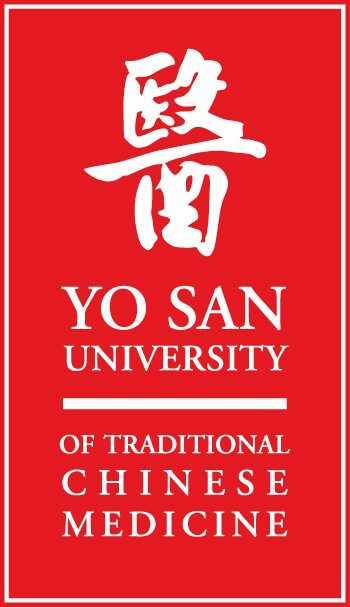 Yo San University of Traditional Chinese Medicine (referred to herein as “Yo San University” , “the University” or “YSU”) understands the importance of privacy, and is committed to protecting your personal information. This privacy notice outlines the personal information the University may collect and how the University will use and disclose that information. Yo San University may collect two different types of information, Personally Identifiable Information and Non-Personally Identifiable Information. “Personally Identifiable Information” (“PII”) is information that identifies you as an individual – for example, your name, address, telephone number, email address, credit card information, billing addressand mail address information. “Non-Personally Identifiable Information” (“Non-PII”) is aggregated information, demographic information, IP addresses, user behavior data from web interaction metrics tools and any other information that does not reveal your specific identity. When visiting the Yo San University maintained websites, Yo San University may collect PII about you that may be considered sensitive. Yo San University may also collect PII about you from, among other places: information you provide directly to us, information regarding the services that Yo San University currently provides or has previously provided to you, information Yo San University receives from our affiliated entities or third parties relating to the establishment of our relationship or the provision of services to you. Yo San University may collect PII about you to establish or maintain our relationship with you, respond to your inquiries, provide you with services you have requested, keep you informed of services we think may be of interest to you, personalize your experience with us, and other reasons. Without PII, Yo San University may be unable to provide you with the services you have requested. Yo San University does not sell or lease PII about you to others. Yo San University may share PII about you with others as permitted by contractual agreement or as required by law, such as our affiliates, third parties in connection with the provision of services to you, government entities and regulatory bodies, and those with whom you have requested us to share information. Unless restricted by law, regulation, contract or professional standards, Yo San University may transfer PII about you outside of the United States to other countries for the purposes described in this privacy notice. Yo San University will not share PII about you with an unaffiliated third party who is not performing services for us without first obtaining your permission, except if such sharing is otherwise permitted by this privacy notice. Financial Institutions: Yo San University will provide financial institutions with your payment information, name, address, and phone number in order to process and complete payment of the transaction made by you to Yo San University. Notwithstanding any other provision of this notice or the Terms and Conditions of Use to the contrary, we reserve the right to disclose and use your PII if we believe that we are required to do so: (a) by law; (b) in response to legal process, for example, in response to a court order or a subpoena; (c) in response to a law enforcement agency’s request; (d) to enforce our other terms, conditions, or policies; (e) to protect our operations; (f) to protect the rights, privacy, safety or property of Yo San University, you or others; and/or (g) to permit us to pursue available remedies or limit the damages we may sustain. For example, we may to the fullest extent the law allows, disclose PII about you to law enforcement agencies to assist them in identifying individuals who have been or may be engaged in unlawful activities. You may request access to the PII that Yo San University has about you. You may also request the correction, amendment or deletion of PII about you that is inaccurate. Yo San University will treat requests for access, correction, amendment or deletion of PII about you in accordance with its internal policies and applicable legal requirements. (a) the provision of services to you or (b) to help identify other services that Yo San University and its affiliates offer that may be of interest or use to you. Additionally, Yo San University will only use PII for the purpose which it was intentionally collected. Yo San University will take reasonable measures to safeguard your information and ensure that is accurate, complete and current. Yo San University has further committed to refer unresolved privacy complaints under the US- EU and US-Swiss Safe Harbor Principles to an independent dispute resolution mechanism, the BBB EU SAFE HARBOR, operated by the Council of Better Business Bureaus. If you do not receive timely acknowledgment of your complaint, or if your complaint is not satisfactorily addressed by Yo San University, please visit the BBB EU SAFE HARBOR web site at bbb.org/us/safe-harbor-complaints for more information and to file a complaint. Yo San University reserves the right to change this privacy notice. Any changes to this notice will become effective upon posting of the revised notice on the Internet or as required by law. Please note that email communications are not necessarily secure. Accordingly you should not include credit card or other sensitive information in your email correspondence to us. The Yo San University of Traditional Chinese Medicine Web Site is comprised of various Web pages operated by Yo San University of Traditional Chinese Medicine. The Yo San University of Traditional Chinese Medicine Web Site is offered to you conditioned on your acceptance without modification of the terms, conditions, and notices contained herein. Your use of the Yo San University of Traditional Chinese Medicine Web Site constitutes your agreement to all such terms, conditions, and notices. Yo San University of Traditional Chinese Medicine reserves the right to change the terms, conditions, and notices under which the Yo San University of Traditional Chinese Medicine Web Site is offered, including but not limited to the charges associated with the use of the Yo San University of Traditional Chinese Medicine Web Site. The Yo San University of Traditional Chinese Medicine Web Site may contain links to other Web Sites (“Linked Sites”). The Linked Sites are not under the control of Yo San University of Traditional Chinese Medicine and Yo San University of Traditional Chinese Medicine is not responsible for the contents of any Linked Site, including without limitation any link contained in a Linked Site, or any changes or updates to a Linked Site. Yo San University of Traditional Chinese Medicine is not responsible for webcasting or any other form of transmission received from any Linked Site. Yo San University of Traditional Chinese Medicine is providing these links to you only as a convenience, and the inclusion of any link does not imply endorsement by Yo San University of Traditional Chinese Medicine of the site or any association with its operators. As a condition of your use of the Yo San University of Traditional Chinese Medicine Web Site, you warrant to Yo San University of Traditional Chinese Medicine that you will not use the Yo San University of Traditional Chinese Medicine Web Site for any purpose that is unlawful or prohibited by these terms, conditions, and notices. You may not use the Yo San University of Traditional Chinese Medicine Web Site in any manner which could damage, disable, overburden, or impair the Yo San University of Traditional Chinese Medicine Web Site or interfere with any other party’s use and enjoyment of the Yo San University of Traditional Chinese Medicine Web Site. You may not obtain or attempt to obtain any materials or information through any means not intentionally made available or provided for through the Yo San University of Traditional Chinese Medicine Web Sites. Yo San University of Traditional Chinese Medicine has no obligation to monitor the Communication Services. However, Yo San University of Traditional Chinese Medicine reserves the right to review materials posted to a Communication Service and to remove any materials in its sole discretion. Yo San University of Traditional Chinese Medicine reserves the right to terminate your access to any or all of the Communication Services at any time without notice for any reason whatsoever. Yo San University of Traditional Chinese Medicine reserves the right at all times to disclose any information as necessary to satisfy any applicable law, regulation, legal process or governmental request, or to edit, refuse to post or to remove any information or materials, in whole or in part, in Yo San University of Traditional Chinese Medicine’s sole discretion. Always use caution when giving out any personally identifying information about yourself or your children in any Communication Service. Yo San University of Traditional Chinese Medicine does not control or endorse the content, messages or information found in any Communication Service and, therefore, Yo San University of Traditional Chinese Medicine specifically disclaims any liability with regard to the Communication Services and any actions resulting from your participation in any Communication Service. Managers and hosts are not authorized Yo San University of Traditional Chinese Medicine spokespersons, and their views do not necessarily reflect those of Yo San University of Traditional Chinese Medicine. Yo San University of Traditional Chinese Medicine does not claim ownership of the materials you provide to Yo San University of Traditional Chinese Medicine (including feedback and suggestions) or post, upload, input or submit to any Yo San University of Traditional Chinese Medicine Web Site or its associated services (collectively “Submissions”). However, by posting, uploading, inputting, providing or submitting your Submission you are granting Yo San University of Traditional Chinese Medicine, its affiliated companies and necessary sublicensees permission to use your Submission in connection with the operation of their Internet businesses including, without limitation, the rights to: copy, distribute, transmit, publicly display, publicly perform, reproduce, edit, translate and reformat your Submission; and to publish your name in connection with your Submission. No compensation will be paid with respect to the use of your Submission, as provided herein. Yo San University of Traditional Chinese Medicine is under no obligation to post or use any Submission you may provide and may remove any Submission at any time in Yo San University of Traditional Chinese Medicine’s sole discretion. THE INFORMATION, SOFTWARE, PRODUCTS, AND SERVICES INCLUDED IN OR AVAILABLE THROUGH THE Yo San University of Traditional Chinese Medicine WEB SITE MAY INCLUDE INACCURACIES OR TYPOGRAPHICAL ERRORS. CHANGES ARE PERIODICALLY ADDED TO THE INFORMATION HEREIN. Yo San University of Traditional Chinese Medicine AND/OR ITS SUPPLIERS MAY MAKE IMPROVEMENTS AND/OR CHANGES IN THE Yo San University of Traditional Chinese Medicine WEB SITE AT ANY TIME. ADVICE RECEIVED VIA THE Yo San University of Traditional Chinese Medicine WEB SITE SHOULD NOT BE RELIED UPON FOR PERSONAL, MEDICAL, LEGAL OR FINANCIAL DECISIONS AND YOU SHOULD CONSULT AN APPROPRIATE PROFESSIONAL FOR SPECIFIC ADVICE TAILORED TO YOUR SITUATION. Yo San University of Traditional Chinese Medicine AND/OR ITS SUPPLIERS MAKE NO REPRESENTATIONS ABOUT THE SUITABILITY, RELIABILITY, AVAILABILITY, TIMELINESS, AND ACCURACY OF THE INFORMATION, SOFTWARE, PRODUCTS, SERVICES AND RELATED GRAPHICS CONTAINED ON THE Yo San University of Traditional Chinese Medicine WEB SITE FOR ANY PURPOSE. TO THE MAXIMUM EXTENT PERMITTED BY APPLICABLE LAW, ALL SUCH INFORMATION, SOFTWARE, PRODUCTS, SERVICES AND RELATED GRAPHICS ARE PROVIDED “AS IS” WITHOUT WARRANTY OR CONDITION OF ANY KIND. Yo San University of Traditional Chinese Medicine AND/OR ITS SUPPLIERS HEREBY DISCLAIM ALL WARRANTIES AND CONDITIONS WITH REGARD TO THIS INFORMATION, SOFTWARE, PRODUCTS, SERVICES AND RELATED GRAPHICS, INCLUDING ALL IMPLIED WARRANTIES OR CONDITIONS OF MERCHANTABILITY, FITNESS FOR A PARTICULAR PURPOSE, TITLE AND NON-INFRINGEMENT.